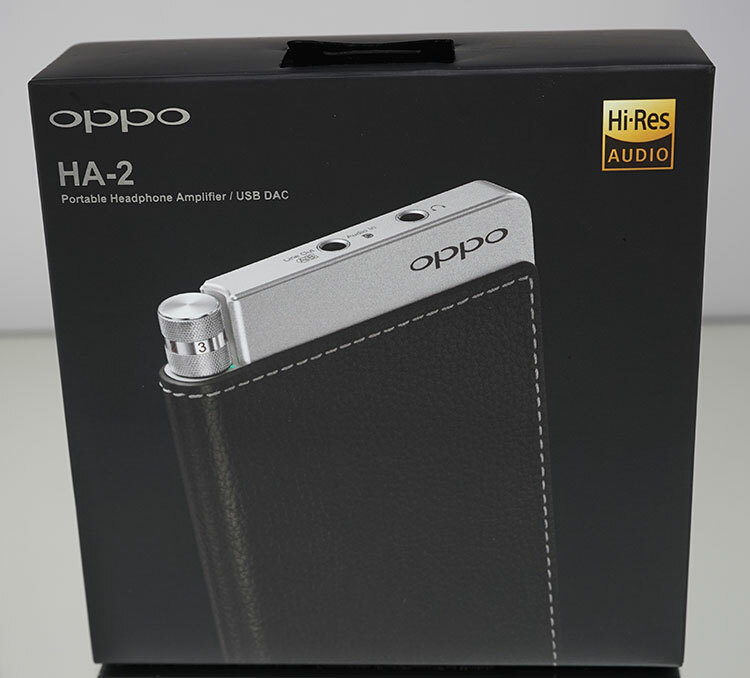 Pricing the HA-2 at $299 was the right pitch for Oppo. It gives them a bit of wiggle room and fiscal future proofing in a very rapid and changing digital market. Had this been released this time last year they could have charged double and people would have gobbled it up such was the scarcity of DSD capable convergence devices in the market. The market is evolving very rapidly indeed and even FiiO X3 Gen 2 DAP’s are claiming DSD native playback these days so it is not such as premium as it was even a few months ago. The net result is that, much like Blu-ray players and mobile phones with certain features, the market price is dropping and the competition is getting a lot stronger. I do believe the Companion One from Celsus has a slightly superior more natural sounding output and a few more features to boot such as wireless but you get that at $599 which for many is a premium or hard-core price. $299 puts the HA-2 within reaching distance for a far higher percentage of potential buyers. An added benefit is the form factor will greatly appeal to Apple and Android users who will want to take advantage of the OTG and direct lightning connectivity not to mention the power bank option which I guess is a bit of “keeping up with the Jones” there days but still a relative useful feature if in a pinch. Placing a modern day smartphone on top of the HA-2 feels very normal and logical. It will also make considerable inroads to those who might have chosen other audiophile convergence devices like the FiiO E18 and the Creative E5 which can’t hold a candle to the HA-2 in terms of audio quality all-round attractiveness physically. Oppo should really get this into Apple and high end lifestyle stores if possible. The HA-2 would look very much at home there and present a rather respectable level of audiophile credibility in stores where design often edges out everything else. The RX Portable Amp from ALO Audio – It’s Back! I own an HA-2. I am trying to decide between the Oppo PM-3 and the HiFiMan HE 400i. Without regard for price, with sound quality the overriding factor what would you recommend? This question has given me sleepless night and endless flip flopping. Initially I was all PM-3 given its closed, weighted bass and relatively neutral. It is also more portable and efficient than the HE400i. But the HE400i has a more euphoric sound to me and much more emotive and I find it more fun. Both will drive just fine from the HA-2 by the way. In the end if you want isolation on the go then the closed PM-3 is a better choice and if staying at home the HE400i would edge it on just the musicality aspect. Should I also consider the Audeze Sine? Got the Fiio E18. Honestly gotsick of stacking. Its a huge pita. bulky awkward and I went through connectors like crazy. I really liked the sound though and thankfully now use it for my PC. For the money the E18 is hard to beat. My portable system is now just a LG V10 which has the ESS Sabre DAC built in. Obviously not the same implementation but a worthy trade off considering the hassle of carrying those stacks. Honestly I am not sure on the HD700, it has been a long time since I heard them but its possible and power should be ok. HD598 should be fine. I’m considering getting this HA-2, but I’m concerned about the noise when paired with sensitive IEM’s. budget is around 300, and I use almost exclusively in-ears (like the 2015 q-jays, flare r2pros, bang & olufsen h3), so i need something with minimal noise with sensitive IEM’s. Prefer laid back, fatigue free sound, maybe some bass boost. If the majority of your tracks are 16./44 I would have a look at the Cypher Labs Picollo AMP/DAC which is designed for IEM’s with a nice DAC and a great amp that is smooth and rich with a nice bass signature. Any comparison to the new Apogee Groove sound wise? We dont have that one actually yet so sorry no comparison as of now. I’m currently thinking about pairing my Ultrasone Ed-8 with JDS C5/C5D, then I just saw this HA-2. Can anyone recommend me which one suits Ed-8 better, I really love the way HA-2 looks. No need to be disrespectful here. Earlier Oppo did not list the output impedance among their specs, IIRC. Whether Oppo labelled recommended impedance for a solid technical reason or just due to convention is something we can only speculate on, in the absence of any word from Oppo themselves. And don’t get me wrong, I have been a big fan of the Oppo DVD and Blu-ray players I’ve had. But no amp is perfect with all headphones, and the recommendation from Oppo should give folks like myself with sub-16 ohm headphones pause. I spent about half an hour with the HA-2 at my local dealer and, sadly, was left rather disappointed. It wouldn’t play with the 30 pin out of my trusty iPod Classic; only 3.5 to 3.5. I guess it was now receiving an analogue stream and acting as an amp only. The most I could discern was perhaps a little less treble glare and a wider soundstage but I’m not really sure; it certainly wasn’t obvious. Next up, I attached my iPhone 5 with the lightning to Oppo and played a lossless rip of ‘Babylon Sisters’ by Steely Dan. Again I used my Ety HF3’s. This time, I could discern zero significant improvement over the feed direct from the phone. Now, I had gone into the store wanting to be blown away by this device and was ready to lay down the folding but…it simply wasn’t enough. So, do I sell a kidney and plump for Chord’s Hugo…? Not sure it will optmize to the best of its capabilities when doing a double amp out of the ipod. Never had much joy going that route with anything. Try the Picollo DAC AMP instead or the Companion One and see how you get on. You should consider making an investment instead in upgrading your headphones. Either by moving up to a different model or getting Ety custom earpieces. I got them for my HF-2 and theyre great. That I am not sure to be honest, stopped rooting years ago and just go stock with Android and since it by passes most of the internals I am usually happy. Could you please tell me about a difference (sonically) between HA-2 and iBasso dx90? I’m considering both – which one would you recommend? (given that it will be used mailny with IEMs and price is the same). I didn’t like sound signature of X5 but I loved hm901 and now I’m looking for something new. you do know that the HA-2 is not a DAP right? You will still need a DAP or a smart phone to get the HA-2 working. Depends on your earphone or headphone. The HA-2 has a more powerful amp IMHO and a little bit more slam potential with the bass boost. It also can pair with mobile phones also. The benefits of course with the DX90 is no stacking but of course it is not a phone. If yu have sensitive earphones I do not think you really need the HA-2 and a DX90 will be fine. Both exhibit a clean detailed signature with good dynamics just the HA-2 might have a little bit more shine in the lower treble. Thanks, I ordered HA-2 for now. Power is not really someting I need – I use mostly IEMs and headphones I own are easy to drive (Viso HP50/Fidelio L2). To clarify… if I understand you correctly – I’m not missing anything (sound-wise) by choosing HA-2 over dx90? Well, you were right. Synergy between HA-2 and Viso HP50 is amazing. It’s the first time I can actually hear why this headphones were so well recieved. And for the first time I like them better than Fidelio L2. IEMs sounded pretty good too – for now I briefly tested re600 and Primo 8. Pairing HA-2 with Cayin C5 is also very good. All and all very good product and great bulit quality. Excellent and thorough review; thank you. How is the leather cover attached to the device and can you see it peeling off with a bit of wear and tear…? As Marcus said, glue. Not the best choice to permanently attach it to the player, but not bad either. Kind of 1990’s Sony business styling. I managed to acquire a PHA-1 recently, Sony had a good idea there with the rubber railings on the top plate. Probably worth mentioning that on the low end of the impedance scale, the HA-2 is not well suited to low impedance IEMs or headphones. Their recommended range starts at 16 ohms. SHure 846s for example are 9 ohm IEMs. Oddly, Oppo chooses not to list the output impedance on their specs page. An important detail to note in a review, IMO. Aaaah…I was thinking of pairing it with my Shure SE 425’s. Looks like the SE425 impedance is a good deal higher than the 846. At 22 ohms, it should work fine with the HA-2! Don’t worry. 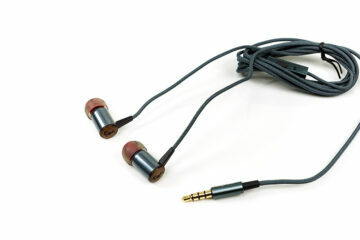 The HA-2 is as good at driving any earphone as are many high-current low-Ω amps. Roscoe is reading into the spec list rather than anything. Oppo’s recommended impedance is 16, not mine. When actual output impedance is stated, I go by the 10:1 rule for headphone : source impedance as I stated in another post. No amp is perfect for all headphones, and that is fine. Again, read the specs. 0,5Ω output impedance. Look, Oppo themselves recommends 16 ohms to 300 ohms. I don’t know why they choose that lower limit. But they do. And I am more likely to take their advice than some random person on an Internet thread. Interesting detail, how did youo manage to find that out, just curious. I dont have anything in the sub 16ohm range I think but will check. Sorry, what are you referring to? How did I manage to find what out? Interestingly, Meridian lowered the output impedance of its Director so that it would be compatible with a wider range of headphones. Quit guessing. Just read the spec. And to be sure, you are right to question. That reviewers can’t answer your question is a problem, but I think you’ll find that your questions are easily answered. Wrong. The HA-2 players perfectly with low-Ω earphones. I’ve RMAA’d it all and it doesn’t cough when attached to low-Ω earphones. It hisses more than necessary though. The output impedance is low. Um, Oppo themselves recommends a lower limit of 16 ohms. A good deal above the 9 ohms of my Shures. In hopes of selling more units I’d think Oppo would put the lower limit as low as is justifiable. So I’d guess that the ratio of source to headphone impedance is such that it would affect the frequency response of low impedance headphones. What low impedance headphones did you try with the Oppo? Were they below Oppo’s recommended 16 ohms? It is typical for an amp maker to label spec as: compatible for 16 to 300 or 600. It has more to do with the ratio of current to voltage and the control of each into typical use situations. And Oppo _did_ label the output impedance. It is 0,5Ω. Spec has nothing at all to do with general ‘best-use’ situations. It’s good as a DAC/amp for iPhones, but the old Microstreamer for computers sounds a lot better. It could be the iPhone’s fault if the Apple USB is putting out an inferior digital signal/data. Well its open season once you move to the PC but the mere fact you can move from apple to pc to android is probably the value in itself. Great and detailed review, thanks! Thanks Mike appreciate your feedback and glad you guys picked the version that made it to the market :) good job!